Heaven - We love it when they ask... how on earth do you respond? 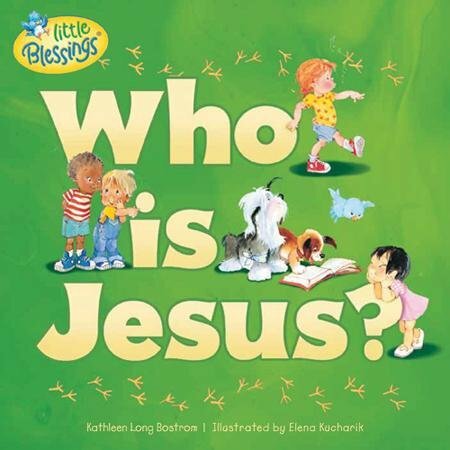 Kids have lots of questions; Little Blessings question books help parents answer the tough questions. What about Heaven? helps explain eternal life to kids and adults alike. The rhythmic rhyming book begins with questions kids ask about heaven and answers each one in a theologically accurate yet age-appropriate manner, including scriptures to reference. The adorable multi-cultural kids and colorful art will make this a favorite book for kids and adults. Learning about Heaven has never been so sweet and simple. Of this there's no doubt. that is near or that's far? how to fly or to swim. And Be Sure To Check Out "Who Is Jesus" Also Available For Only $2.00 This Month! 8" x 8" x .2"